SPORTS SEAT CONVERTABLE IN INFANT CARRIER. Duett 3 is delivered with two separate seat units. 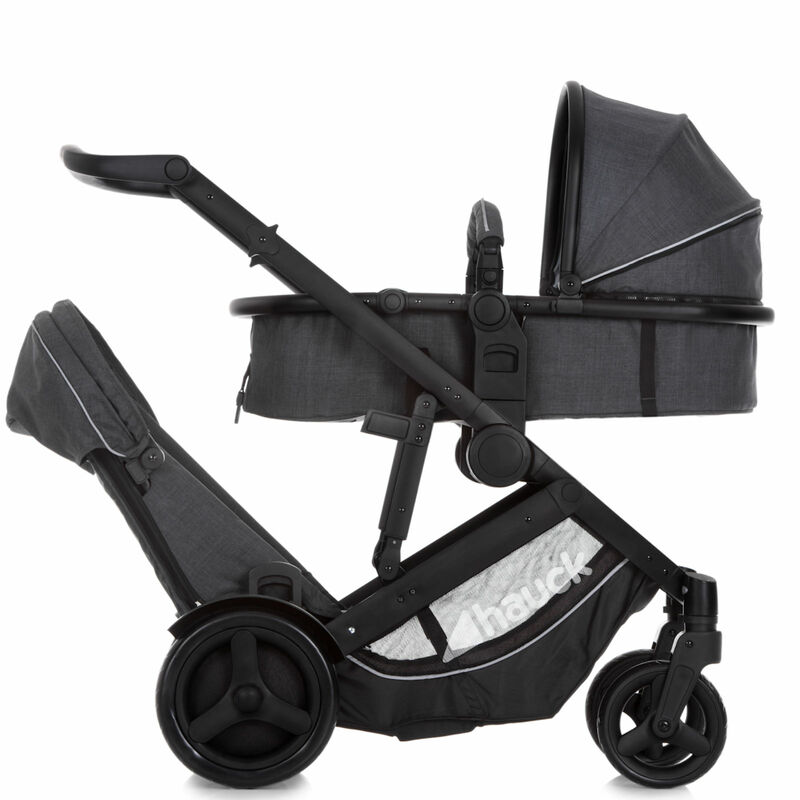 The upper seat is convertable in a cosy infant carrier with few actions so as to be used for a newborn. Once your offspring is bigger, you can reconvert the infant carrier into a sports seat which is fixable in both directions. The older child can always accompany you in the lower seat. 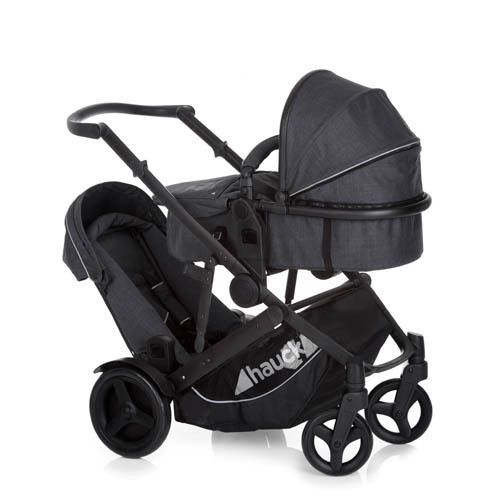 The anterior wheels are equipped with protections that prevents your child from touching them. 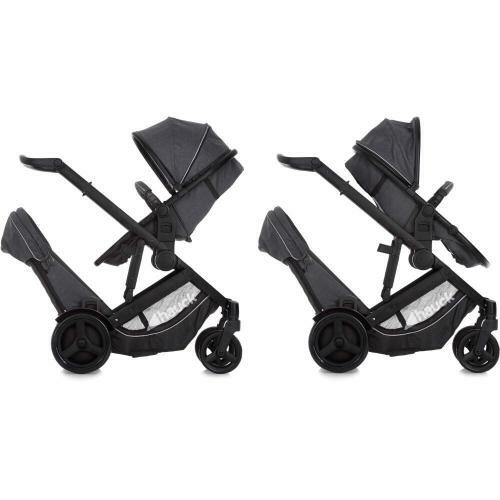 Duett 3 can be used from birth even by twins thanks to the separately available infant carrier. This is mounted on the chassis instead of the lower seat without any additional adapters. In Duett 3, both children are always comfortable. The main seat has a lying function as well as an adjustable footrest and a large sun canopy, while the lower seat has a rest position. The light aluminium chassis and swiveling as well as lockable front wheels guarantee maximum manoeuvrability with both children. The puncture-resistant wheels offer the perfect driving fun and the height-adjustable push handle is back-friendly. FITS THROUGH ANY DOOR. Thanks to the seats being one behind the other, Duett 3 is so small that it fits through any door or elevator. Once folded down, the sibling stroller is no bigger than a single one – ideal for transport in even the smallest boot.